This article is about the current region and government. For other uses, see Somaliland (disambiguation). Somaliland (Somali: Somaliland, Arabic: صوماليلاند‎‎ Ṣūmālīlānd or أرض الصومال Arḍ aṣ-Ṣūmāl), officially the Republic of Somaliland (Somali: Jamhuuriyadda Somaliland, Arabic: جمهورية صوماليلاند‎‎ Jumhūrīyat Ṣūmālīlānd), is a self-declared state internationally recognized as an autonomous region of Somalia. The government of Somaliland regards itself as the successor state to the former British Somaliland protectorate, which as the State of Somaliland united as scheduled on 1 July 1960 with the Trust Territory of Somaliland (the former Italian Somaliland) to form the Somali Republic (Somalia). 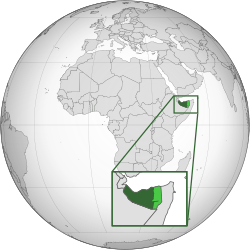 Somaliland lies in northwestern Somalia, on the southern coast of the Gulf of Aden. 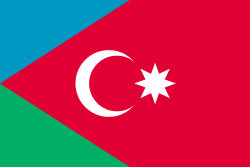 It is bordered by the autonomous region of the Puntland State of Somalia to the east, Djibouti to the northwest, and Ethiopia to the south and west. 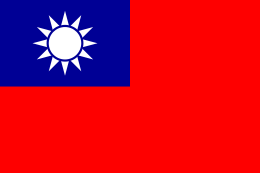 Its claimed territory has an area of 137,600 square kilometres (53,100 sq mi), with approximately 4 million residents. 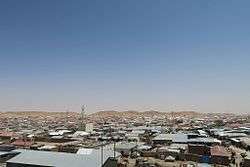 The capital and the largest city is Hargeisa, with the population of around 1,200,000 residents. In 1988, the Siad Barre regime launched a crackdown against the Hargeisa-based Somali National Movement (SNM) and other militant groups, which were among the events that led to the Somali Civil War. The conflict left the country's economic and military infrastructure severely damaged. Following the collapse of Barre's government in early 1991, local authorities, led by the SNM, declared independence from Somalia on 18 May of the same year and reinstated the borders of the former short-lived independent State of Somaliland. Since then, the territory has been governed by democratically elected governments that seek international recognition as the Government of the Republic of Somaliland (Somali: Dowlada Jamhuuriyadda Somaliland, Arabic: جمهورية صوماليلاند‎‎ Dawlat Jumhūrīyat Ṣūmālīlānd). The central government maintains informal ties with some foreign governments, who have sent delegations to Hargeisa. Ethiopia also maintains a trade office in the region. However, Somaliland's self-proclaimed independence remains unrecognised by any country or international organisation. 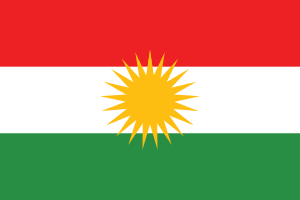 It is a member of the Unrepresented Nations and Peoples Organization, whose members consist of indigenous peoples, minorities, and unrecognised or occupied territories. Rock art from the Laas Geel complex. The earliest human artifacts in the area are the Laas Geel cave paintings, dating from before 3000 BC. 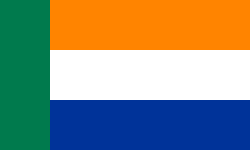 The region is sometimes thought to be part of the Land of Punt. Islam was introduced to the northern Somali littoral early on from the Arabian peninsula, shortly after the hijra. 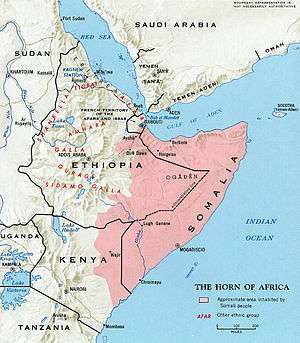 Various Muslim Somali kingdoms were formed around this period in the area. In the 14th century, the Zeila-based Adal Sultanate battled the forces of the Ethiopian emperor Amda Seyon I. The Ottoman Empire later occupied Berbera and environs in the 1500s. Muhammad Ali, Pasha of Egypt, subsequently established a foothold in the area between 1821 and 1841. In 1888, after signing successive treaties with the then ruling Somali Sultans such as Mohamoud Ali Shire of the Warsangali Sultanate, the British established a protectorate in the region referred to as British Somaliland. The British garrisoned the protectorate from Aden and administered it as part of British India until 1898. 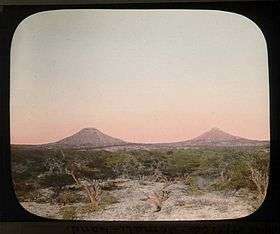 British Somaliland was then administered by the Foreign Office until 1905, and afterwards by the Colonial Office. Generally, the British did not have much interest in the resource-barren region. The stated purposes of the establishment of the protectorate were to "secure a supply market, check the traffic in slaves, and to exclude the interference of foreign powers." The British principally viewed the protectorate as a source for supplies of meat for their British Indian outpost in Aden through the maintenance of order in the coastal areas and protection of the caravan routes from the interior. Hence, the region's nickname of "Aden's butcher's shop". Colonial administration during this period did not extend administrative infrastructure beyond the coast, and contrasted with the more interventionist colonial experience of Italian Somaliland. On 1 July 1960, the protectorate and the Trust Territory of Somaliland (the former Italian Somaliland) united as planned to form the Somali Republic. 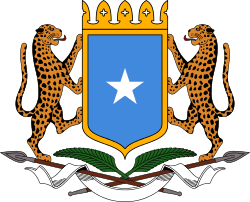 A government was formed by Abdullahi Issa, with Aden Abdullah Osman Daar as President and Abdirashid Ali Shermarke as Prime Minister (later to become President, from 1967 to 1969). On 20 July 1961 and through a popular referendum, the Somali people ratified a new constitution, which was first drafted in 1960. In 1967, Muhammad Haji Ibrahim Egal became Prime Minister, a position to which he was appointed by Shermarke. Shermarke would be assassinated two years later by one of his own bodyguards. His murder was quickly followed by a military coup d'état on 21 October 1969 (the day after his funeral), in which the Somalian Army seized power without encountering armed opposition. The putsch was spearheaded by Major General Mohamed Siad Barre, who at the time commanded the army. The new regime would go on to rule Somalia for the next 21 years. The moral authority of Barre's government gradually eroded, as many Somalis had become disillusioned with life under military rule. By the mid-1980s, resistance movements supported by Ethiopia's communist Derg administration had sprung up across the country. Barre responded by ordering punitive measures against those he perceived as locally supporting the guerillas, especially in the northern regions. The clampdown included bombing of cities, with the northwestern administrative center of Hargeisa, a Somali National Movement (SNM) stronghold, among the targeted areas in 1988. 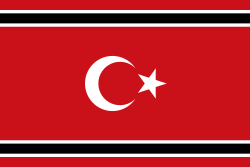 The bombardment was led by General Mohammed Said Hersi Morgan, Barre's son-in-law. Construction of new residential buildings in suburban Hargeisa. 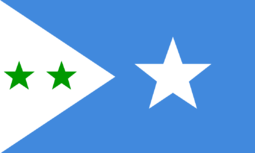 Although the SNM at its inception had a unionist constitution, it eventually began to pursue independence, looking to secede from the rest of Somalia. Under the leadership of Abdirahman Ahmed Ali Tuur, the local administration declared the northwestern Somali territories independent at a conference held in Burao between 27 April 1991 and 15 May 1991. Tuur then became the newly established Somaliland polity's first President, but subsequently renounced the separatist platform in 1994 and began instead to publicly seek and advocate reconciliation with the rest of Somalia under a power-sharing federal system of governance. Muhammad Haji Ibrahim Egal was appointed as Tuur's successor in 1993 by the Grand Conference of National Reconciliation in Borama, which met for four months, leading to a gradual improvement in security, as well as a consolidation of the new territory. Egal was reappointed in 1997, and remained in power until his death on 3 May 2002. The vice president, Dahir Riyale Kahin, who was during the 1980s the highest-ranking National Security Service (NSS) officer in Berbera in Siad Barre's government, was sworn in as president shortly afterwards. In 2003, Kahin became the first elected president of Somaliland. The war in southern Somalia between Islamist insurgents on the one hand, and the Federal Government of Somalia and its African Union allies on the other, has for the most part not directly affected Somaliland, which, like neighboring Puntland, has remained relatively stable. 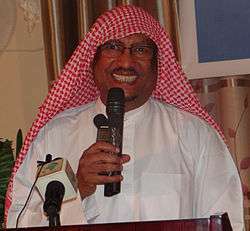 Faysal Ali Warabe, Chairman of the Justice and Development Party. Under the Federal Constitution of Somalia, Somaliland is not officially a Federal Member State of the Federal Republic of Somalia. It has a hybrid system of governance under the Constitution of Somaliland, combining traditional and western institutions. 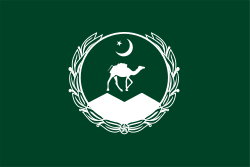 In a series of inter-clan conferences, culminating in the Boorama Conference in 1993, a qabil (clan or community) system of government was constructed. The constitution separates government into an executive branch, a legislative branch, and a judicial branch, each of which functions independently from the others. 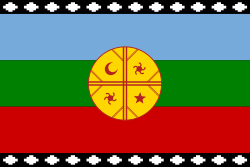 The guurti worked with rebel leaders to set up a new government, and was incorporated into the governance structure, becoming the Parliament's House of Elders. The government became in essence a "power-sharing coalition of Somaliland's main clans," with seats in the Upper and Lower houses proportionally allocated to clans according to a predetermined formula, although not all clans are satisfied with their representation. In 2002, after several extensions of this interim government, Somaliland transitioned to multi-party democracy. The election was limited to three parties, in an attempt to create ideology based elections rather than clan based elections. The Executive is led by an elected president, whose government includes a vice-president and a Council of Ministers. The Council of Ministers, who are responsible for the normal running of government, are nominated by the President and approved by the Parliament's House of Representatives. The President must approve bills passed by the Parliament before they come into effect. Presidential elections are confirmed by the National Elections Commission. The President can serve a maximum of two five-year terms. The meeting hall of Somaliland's House of Representatives. Legislative power is held by the bicameral Parliament. Its upper house is the House of Elders, and the lower house is the House of Representatives. The lower house is chaired by Abdirahman Mohamed Abdullahi. Each house has 82 members. Members of the House of Elders are elected indirectly by local communities for six-year terms. The House of Elders shares power in passing laws with the House of Representatives, and also has the role of solving internal conflicts, and an exclusive power to extend the terms of the President and representatives under circumstances that make an election impossible. Members of the House of Representatives are directly elected by the people for five-year terms. The House of Representatives shares voting power with the House of Elders, though it can pass a law that the House of Elders rejects if it votes for the law by a 2/3's majority, and has absolute power in financial matters and confirmation of Presidential appointments (except for the Chief Justice of the Supreme Court). However, the Parliament provides weak oversight of the executive branch. 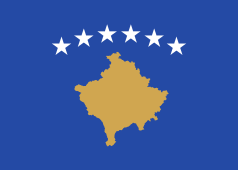 The judicial system is divided into district courts, (which deal with matters of family law and succession, lawsuits for amounts up to 3 million SL, criminal cases punishable by up to 3 years imprisonment or 3 million SL fines, and crimes committed by juveniles), regional courts (which deal with lawsuits and criminal cases not within the jurisdiction of district courts, labour and employment claims, and local government elections), regional appeals courts (which deal with all appeals from district and regional courts), and the Supreme Court (which deals with issues between courts and in government, and reviews its own decisions), which is the highest court and also functions as the Constitutional Court. Somaliland nationality law defines who is a Somaliland citizen, as well as the procedures by which one may be naturalized into Somaliland citizenship or renounce it. As of December 2014, Somaliland has three political parties: the Peace, Unity, and Development Party, the Justice and Development Party, and Wadani. Under the Somaliland Constitution, a maximum of three political parties is allowed, and parties defined by religion or clan are prohibited, though all official parties are closely affiliated with a clan. 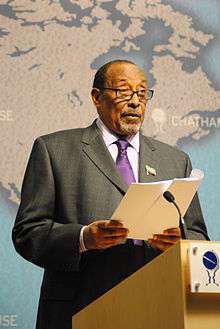 Ahmed Mahamoud Silanyo, President of the Republic of Somaliland, speaking at Chatham House (2010). Somaliland has political contacts with its neighbours Ethiopia and Djibouti, as well as with South Africa, Sweden, and the United Kingdom. On 17 January 2007, the European Union (EU) sent a delegation for foreign affairs to discuss future cooperation. The African Union (AU) has also sent a foreign minister to discuss the future of international acknowledgment, and on 29 and 30 January 2007, the ministers stated that they would discuss acknowledgement with the organisation's member states. In early 2006, the National Assembly of Wales extended an official invitation to the Somaliland government to attend the royal opening of the Senedd in Cardiff. The move was seen as an act of recognition by the Welsh Assembly of the breakaway government's legitimacy. The Foreign and Commonwealth Office made no comment on the invitation. Wales is home to a significant Somali expatriate community from Somaliland. In 2007, a delegation led by President Kahin was present at the Commonwealth Heads of Government Meeting in Kampala, Uganda. Although Somaliland has applied to join the Commonwealth under observer status, its application is still pending. On 24 September 2010, Johnnie Carson, Assistant Secretary of State for African Affairs, stated that the United States would be modifying its strategy in Somalia and would seek deeper engagement with the governments of Somaliland and Puntland while continuing to support the Somali Transitional Government. Carson said the US would send aid workers and diplomats to Puntland and Somaliland and alluded to the possibility of future development projects. However, Carson emphasized that the U.S. would not extend formal recognition to either region. The then UK Minister for Africa, Henry Bellingham MP, met President Silanyo of Somaliland in November 2010 to discuss ways in which to increase the UK's engagement with Somaliland. President Silanyo said during his visit to London: "We have been working with the international community and the international community has been engaging with us, giving us assistance and working with us in our democratisation and development programmes. And we are very happy with the way the international community has been dealing with us, particularly the UK, the US, other European nations and our neighbours who continue to seek recognition." Recognition of Somaliland by the UK has also been supported by the UK Independence Party, which came 3rd in the popular vote at the 2015 General Election. The leader of UKIP, Nigel Farage, met with Ali Aden Awale, Head of the Somaliland UK Mission on Somaliland's national day, May 18, in 2015, to express UKIP's support for Somaliland. Nigel Farage said that "Somaliland has been a beacon of peace, democracy and the Rule of Law, in the Horn of Africa for the past 24 years. It is about time the UK and the rest of the international community recognised Somaliland's case for recognition. It's about time peace was rewarded. For the UK to turn its back on their legitimate demands for sovereignty, is wrong. It is extraordinary that we have not been lobbying for their admittance to the Commonwealth. In recent years we have supported the admission of countries such as Mozambique which have no historic links to Britain, but Somaliland, a former protectorate is left in the cold. This must change". In 2011, Somaliland and the neighbouring Puntland region each entered a security-related memorandum of understanding with the Seychelles. Following the framework of an earlier agreement signed between the Transitional Federal Government and the Seychelles, the memorandum is "for the transfer of convicted persons to prisons in 'Puntland' and 'Somaliland'". Somaliland continues to claim the entire area of the former British Somaliland. 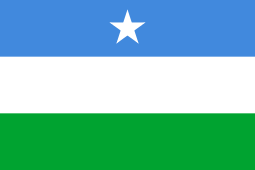 It is currently in control of the western half of the former British Somaliland, with northeastern Maakhir having declared itself a separate, unrecognised autonomous state within Somalia in July 2007, and the disputed southeastern Sool state had been under the control of neighbouring Puntland. A coalition of Gadabuursi intellectuals hailing from the westernmost Awdal province have threatened to secede if Somaliland's independence is recognised. Tensions between Puntland and Somaliland escalated into violence several times between 2002 and 2009. In October 2004, and again in April and October 2007, armed forces of Somaliland and Puntland clashed near the town of Las Anod, the capital of Sool region. In October 2007, Somaliland troops took control of the town. While celebrating Puntland's 11th anniversary on 2 August 2009, Puntland officials vowed to recapture Las Anod. While Somaliland claims independent statehood and therefore "split up" the "old" Somalia, Puntland works for the re-establishment of a united but federal Somali state. Somaliland forces took control of the town of Las Qorey in eastern Sanaag on 10 July 2008, along with positions 5 km (3 mi) east of the town. The defence forces completed their operations on 9 July 2008 after the Maakhir and Puntland militia in the area left their positions, but control of the territory was later assumed by Puntland as Maakhir was incorporated into the autonomous region in January 2009. 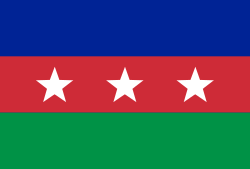 In the late 2000s, HBM-SSC (Hoggaanka Badbaadada iyo Mideynta SSC), a local unionist group based in Sanaag was formed with the goal to establish its own regional administration (Sool, Sanaag and Cayn, or SSC). 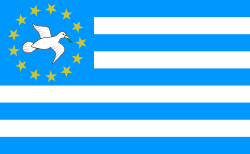 This later evolved into Khatumo State, which was established in 2012. The local administration and its constituents does not recognise the Somaliland government's claim to sovereignty or to its territory. In 2010, the formation of a new autonomous region within a federal Somalia was also declared in the Awdal province. Referred to as Awdalland or the Awdal State, the local administration and the region's residents do not recognise the Somaliland government's claim to sovereignty or to their territory. 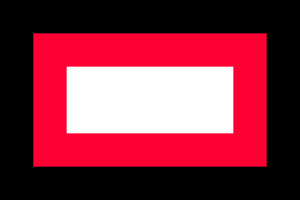 The Somaliland Armed Forces are the main military command in Somaliland. Along with the Police Force and all other internal security forces, they are overseen by Somaliland's Ministry of Defence. The current head of Somaliland's Armed Forces is the Minister of Defence, Mudane Ahmed Haj Adami. The Somaliland Army consists of twelve divisions equipped primarily with light weaponry, though it is equipped with some howitzers and mobile rocket launchers. Its armored vehicles and tanks are mostly of Soviet design, though there are some aging Western vehicles and tanks in its arsenal. The Somaliland Navy (often referred to as a Coast Guard by the Associated Press), despite a crippling lack of equipment and formal training, has apparently had some success at curbing both piracy and illegal fishing within Somaliland waters. Somaliland is situated in northwestern Somalia. It lies between the 08°00' – 11°30' parallel north of the equator and between 42°30' – 49°00' meridian east of Greenwich. It is bordered by Djibouti to the west, Ethiopia to the south, and the Puntland region of Somalia to the east. Somaliland has a 740 kilometres (460 mi) coastline with the majority lying along the Gulf of Aden. The region is slightly larger than England, with an area of 137,600 km2 (53,100 sq mi). Somaliland's climate is a mixture of wet and dry conditions. The northern part of the region is hilly, and in many places the altitude ranges between 900 and 2,100 metres (3,000 and 6,900 ft) above sea level. The Awdal, Sahil and Maroodi Jeex (Woqooyi Galbeed) regions are fertile and mountainous, while Togdheer is mostly semi-desert with little fertile greenery around. The Awdal region is also known for its offshore islands, coral reefs and mangroves. A scrub-covered, semi-desert plain referred as the Guban lies parallel to the Gulf of Aden littoral. With a width of twelve kilometers in the west to as little as two kilometers in the east, the plain is bisected by watercourses that are essentially beds of dry sand except during the rainy seasons. When the rains arrive, the Guban's low bushes and grass clumps transform into lush vegetation. This coastal strip is part of the Ethiopian xeric grasslands and shrublands ecoregion. Cal Madow is a mountain range in the northern part of the country. Extending from the northwest of Erigavo to several kilometers west of the city of Bosaso, it features Somalia's highest peak, Shimbiris, which sits at an elevation of about 2,416 metres (7,927 ft). The rugged east-west ranges of the Karkaar Mountains also lie to the interior of the Gulf of Aden littoral. In the central regions, the northern mountain ranges give way to shallow plateaus and typically dry watercourses that are referred to locally as the Ogo. The Ogo's western plateau, in turn, gradually merges into the Haud, an important grazing area for livestock. 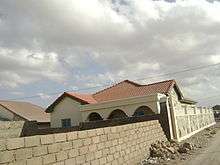 The Hadwanaag Hotel in Hargeisa. The Somaliland shilling is not an internationally recognised currency and currently has no official exchange rate. It is not a valid tender in the Ayn, Sanaag, or Sool regions, which all use the Somali shilling despite being claimed by the Somaliland regional government. It is regulated by the Bank of Somaliland, the central bank, which was established constitutionally in 1994. Since Somaliland is unrecognised, international donors have found it difficult to provide aid. As a result, the government relies mainly upon tax receipts and remittances from the large Somali diaspora, which contribute immensely to Somaliland's economy. Remittances come to Somaliland through money transfer companies, the largest of which is Dahabshiil, one of the few Somali money transfer companies that conform to modern money-transfer regulations. The World Bank estimates that remittances worth approximately US$1 billion reach Somalia annually from émigrés working in the Gulf states, Europe and the United States. Analysts say that Dahabshiil may handle around two-thirds of that figure and as much as half of it reaches Somaliland alone. Since the late 1990s, service provisions have significantly improved through limited government provisions and contributions from non-governmental organisations, religious groups, the international community (especially the diaspora), and the growing private sector. Local and municipal governments have been developing key public service provisions such as water in Hargeisa and education, electricity, and security in Berbera. In 2009, the Banque pour le Commerce et l'Industrie – Mer Rouge (BCIMR), based in Djibouti, opened a branch in Hargeisa and became the first bank in the country since the 1990 collapse of the Commercial and Savings Bank of Somalia. Various telecommunications firms also have branches in Somaliland. Among these companies is Golis Telecom Somalia, one of the largest such operators in northern Somalia. Founded in 2002 with the objective of supplying the local market with telecommunications services such as GSM, fixed line, and Internet access, it has an extensive network that covers all of Somalia's major cities and more than 40 districts in both the Somaliland and Puntland regions. Golis also offers among the cheapest international calling rates at US$0.2 less than its nearest competitor. Other telecommunication firms serving the region include Somtel, Telcom and NationLink. Livestock is the backbone of the Somaliland region's economy. Sheep, camels, and cattle are shipped from the Berbera port and sent to Gulf Arab countries, such as Saudi Arabia. Agriculture is generally considered to be a potentially successful industry, especially in the production of cereals and horticulture. Mining also has potential, though simple quarrying represents the extent of current operations, despite the presence of diverse quantities of mineral deposits. The rock art and caves at Laas Geel, situated on the outskirts of Hargeisa, are a popular local tourist attraction. Totaling ten caves, they were discovered by a French archaeological team in 2002 and are believed to date back around 5,000 years. The government and locals keep the cave paintings safe and only a restricted number of tourists are allowed entry. Other notable sights include the Freedom Arch in Hargeisa and the War Memorial in the city centre. Natural attractions are very common around the region. The Naasa Hablood are twin hills located on the outskirts of Hargeisa that Somalis in the region consider to be a majestic natural landmark. 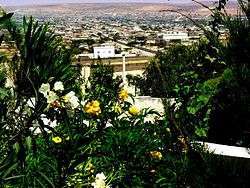 The Ministry of Tourism has also encouraged travelers to visit historic towns and cities in Somaliland. The historic town of Sheekh is located near Berbera and is home to old British colonial buildings that have remained untouched for over forty years. Berbera also houses historic and impressive Ottoman architectural buildings. Another equally famous historic city is Zeila. Zeila was once part of the Ottoman Empire, a dependency of Yemen and Egypt and a major trade city during the 19th century. The city has been visited for its old colonial landmarks, offshore mangroves and coral reefs, towering cliffs, and beach. The nomadic culture of Somaliland has also attracted tourists. Most nomads live in the countryside. Bus services operate in Hargeisa, Burao, Gabiley, Berbera and Borama. There are also road transportation services between the major towns and adjacent villages, which are operated by different types of vehicles. Among these are taxis, four-wheel drives, minibuses and light goods vehicles (LGV). The most prominent airlines serving Somaliland are Daallo Airlines and Jubba Airways, two of a number of Somali-owned private carriers with regular international flights that emerged after Somali Airlines ceased operations. And African Express Airways, and Ethiopian Airlines. They fly to Djibouti City, Addis Ababa, Dubai and Jeddah, and offer flights for the Hajj and Umrah pilgrimages via the Egal International Airport in Hargeisa. 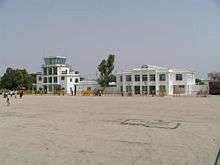 Other major airports in the region include the Berbera Airport. Most people in Somaliland speak two of the three official languages: Somali, Arabic and English. Article 6 of the Constitution of 2001 designates the official language of Somaliland to be Somali, though Arabic is a mandatory subject in school and is used in mosques around the region and English is spoken and taught in schools. English was proclaimed an official language later, outside the constitution. The Somali language belongs to the Cushitic branch of the Afroasiatic family. Its nearest relatives are the Afar and Oromo languages. Somali is the best documented of the Cushitic languages, with academic studies of it dating from before 1900. Somali dialects are divided into three main groups: Northern, Benaadir and Maay. 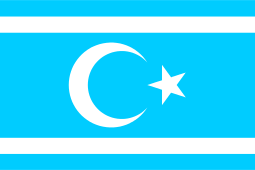 Northern Somali (or Northern-Central Somali) forms the basis for Standard Somali. Benaadir (also known as Coastal Somali) is spoken on the Benadir coast from Cadaley to south of Merca, including Mogadishu, as well as in the immediate hinterland. The coastal dialects have additional phonemes which do not exist in Standard Somali. Maay is principally spoken by the Digil and Mirifle (Rahanweyn) clans in the southern areas of Somalia. Since Somali had long lost its ancient script, a number of writing systems have been used over the years for transcribing the language. Of these, the Somali alphabet is the most widely used, and has been the official writing script in Somalia since the government of former President of Somalia Siad Barre formally introduced it in October 1972. The script was developed by the Somali linguist Shire Jama Ahmed specifically for the Somali language, and uses all letters of the English Latin alphabet except p, v and z. Besides Ahmed's Latin script, other orthographies that have been used for centuries for writing Somali include the long-established Arabic script and Wadaad's writing, in addition to various indigenous writing systems developed in the twentieth century. With few exceptions, Somalis in Somaliland and elsewhere are Muslims, the majority belonging to the Sunni branch of Islam and the Shafi'i school of Islamic jurisprudence. As with southern Somali coastal towns such as Mogadishu and Merca, there is also a presence of Sufism, Islamic mysticism; particularly the Arab Rifa'iya tariiqa. Through the influence of the diaspora from Yemen and the Gulf states, stricter Wahhabism also has a noticeable presence. Though traces of pre-Islamic traditional religion exist in Somaliland, Islam is dominant to the Somali sense of national identity. Many of the Somali social norms come from their religion. For example, most Somali women wear a hijab when they are in public. In addition, religious Somalis abstain from pork and alcohol, and also try to avoid receiving or paying any form of interest (usury). Muslims generally congregate on Friday afternoons for a sermon and group prayer. Under the Constitution of Somaliland, Islam is the state religion of Somaliland, and no laws may violate the principles of Sharia. The promotion of any religion other than Islam is illegal, and the state promotes Islamic tenets and discourages behavior contrary to "Islamic morals". Somaliland has very few Christians. In 1913, during the early part of the colonial era, there were virtually no Christians in the Somali territories, with about 100–200 followers coming from the schools and orphanages of the handful of Catholic missions in the British Somaliland protectorate. The small number of Christians in the region today mostly come from similar Catholic institutions in Aden, Djibouti, and Berbera. 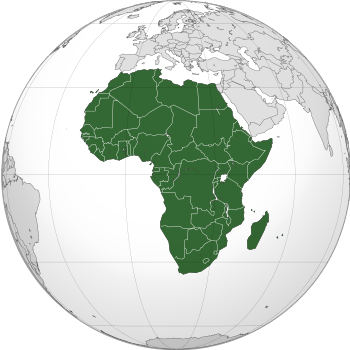 Somaliland falls within the Episcopal Area of the Horn of Africa as part of Somalia, under the Anglican Diocese of Egypt . However, there are no current congregations in the territory. The Roman Catholic Diocese of Mogadiscio is designated to serve the area as part of Somalia. However, since 1990 there has been no Bishop of Mogadishu, and the Bishop of Djibouti acts as Apostolic Administrator. The Adventist Mission also indicates that there are no Adventist members. The clan groupings of the Somali people are important social units, with clan membership playing a central part in Somali culture and politics. 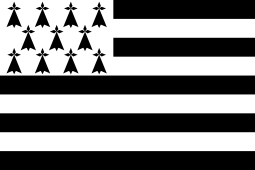 Clans are patrilineal and are often divided into sub-clans, sometimes with many sub-divisions. Somali society is traditionally ethnically endogamous. To extend ties of alliance, marriage is often to another ethnic Somali from a different clan. Thus, for example, a recent study observed that in 89 marriages contracted by men of the Dhulbahante clan, 55 (62%) were with women of Dhulbahante sub-clans other than those of their husbands; 30 (33.7%) were with women of surrounding clans of other clan families (Isaaq, 28; Hawiye, 3); and 3 (4.3%) were with women of other clans of the Darod clan family (Majerteen 2, Ogaden 1). The Isaaq constitute the largest Somali clan in most of Somaliland. 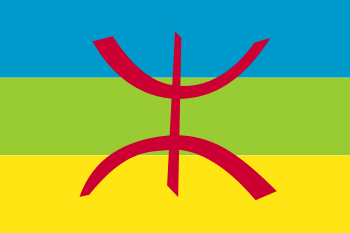 They are concentrated in the Woqooyi Galbeed, Togdheer and the western portion of Sanaag region. 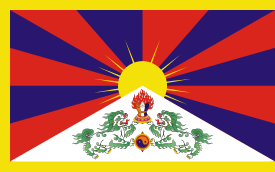 The disputed eastern and western regions has large number of other clans. Sool's residents mainly hail from the Dhulbahante, a subdivision of the Harti confederation of Darod sub-clans. The Warsangali, another Harti Darod sub-clan, constitute a large number of residents in Sanaag. The Gadabuursi dominate the Awdal region, but also partially live in the Woqooyi Galbeed. It is considered polite for one to leave a little bit of food on one's plate after finishing a meal at another's home. This tells the host that one has been given enough food. If one were to clean his or her plate that would indicate that one is still hungry. Most Somalis do not take this rule so seriously, but it is certainly not impolite to leave a few bits of food on one's plate. Somali breakfast typically includes a flatbread called lahoh (injera), as well as liver, toast, harakoo, cereal, and porridge made of millet or cornmeal. Lunch can be a mixture of rice or pasta with meat and sauce. Also consumed during lunchtime is a traditional soup referred to as maraq, which is also part of Yemeni cuisine. Maraq is made of vegetables, meat and beans and is usually eaten with flatbread or pita bread. Later in the day, a lighter meal is served that includes beans, ful medames, muffo (patties made of oats or corn), or a salad with more lahoh/injera. Islam and poetry have been described as the twin pillars of Somali culture. Somali poetry is mainly oral, with both male and female poets. They use things that are common in the Somali language as metaphors. Almost all Somalis are Sunni Muslims and Islam is vitally important to the Somali sense of national identity. Most Somalis do not belong to a specific mosque or sect and can pray in any mosque they find. Celebrations come in the form of religious festivities. Two of the most important are Eid ul-Adha and Eid ul-Fitr, which marks the end of the fasting month. Families get dressed up to visit one another, and money is donated to the poor. Other holidays include 26 June and 18 May, which celebrate British Somaliland's independence and the Somaliland region's establishment, respectively; the latter, however, is not recognised by the international community. In the nomadic culture, where one's possessions are frequently moved, there is little reason for the plastic arts to be highly developed. Somalis embellish and decorate their woven and wooden milk jugs (haamo; the most decorative jugs are made in Ceerigaabo) as well as wooden headrests. Traditional dance is also important, though mainly as a form of courtship among young people. One such dance known as Ciyaar Soomaali is a local favorite. An important form of art in Somaliland and other parts of Somalia is henna art. The custom of applying henna dates back to antiquity. During special occasions, a Somali woman's hands and feet are expected to be covered in decorative mendhi. Girls and women usually apply or decorate their hands and feet in henna on festive celebrations like Eid or weddings. The henna designs vary from very simple to highly intricate. Somali designs vary, with some more modern and simple while others are traditional and intricate. Traditionally, only women apply it as body art, as it is considered a feminine custom. 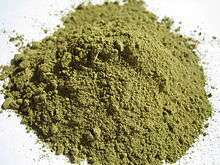 Henna is not only applied on the hands and feet but is also used as a dye. Somali men and women alike use henna as a dye to change their hair colour. Women are free to apply henna on their hair as most of the time they are wearing a hijab. 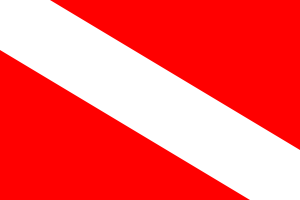 1 2 3 "Somalia". World Factbook. Central Intelligence Agency. 14 May 2009. Retrieved 31 May 2009. 1 2 3 4 Lacey, Marc (5 June 2006). "The Signs Say Somaliland, but the World Says Somalia". New York Times. Retrieved 2 February 2010. 1 2 "Issue 270". Retrieved 28 March 2016. 1 2 "Somaliland Geography". Retrieved 28 March 2016. ↑ "As Somalia Struggles, Can Neighboring Somaliland Become East Africa's Next Big Commercial Hub?". International Business Times. September 18, 2013. Retrieved December 26, 2015. 1 2 World Bank. New World Bank GDP and Poverty Estimates for Somaliland January 29, 2015. Accessed February 14, 2015. ↑ "The Transitional Federal Charter of the Somali Republic" (PDF). University of Pretoria. 1 February 2004. Archived from the original (PDF) on March 25, 2009. Retrieved 2 February 2010. ↑ "Analysis: Time for jaw-jaw, not war-war in Somaliland". Retrieved 28 March 2016. 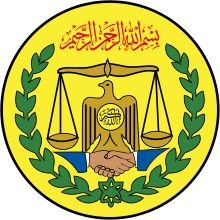 1 2 "Somalia — Government". Library of Congress. Retrieved February 15, 2014. 1 2 3 "The Constitution of the Republic of Somaliland" (PDF). Government of Somaliland. 1 May 2001. Retrieved 2 February 2010. 1 2 "Country Profile". Government of Somaliland. Retrieved 8 July 2012. ↑ "De Facto Statehood? The Strange Case of Somaliland". Yale University, Journal of International Affairs. 2008. Archived from the original (PDF) on 18 April 2010. Retrieved 2 February 2010. ↑ Schoiswohl, Michael (2004). Status and (Human Rights) Obligations of Non-Recognized De Facto Regimes in International Law. University of Michigan: Martinus Nijhoff Publishers. p. 351. ISBN 978-90-04-13655-7. ↑ "Regions and Territories: Somaliland". BBC News. 25 September 2009. Retrieved 2 February 2010. ↑ "Chronology for Issaq in Somalia". Minorities at Risk Project. United Nations Refugee Agency. 2004. Retrieved 2 February 2010. ↑ "Interview with Ambassador Brook Hailu Beshah". International Affairs Review. 8 November 2008. Retrieved 2 February 2010. ↑ Trade office of The FDRE to Somaliland- Hargeysa Archived March 26, 2012, at the Wayback Machine. ↑ "Reforming Somaliland's Judiciary" (PDF). United Nations. 9 January 2006. Retrieved 2 February 2010. ↑ "Arab League condemns Israel over Somaliland recognition". Ethjournal.com. 7 March 2010. Retrieved 6 May 2010. ↑ Encyclopedia Americana, Volume 25. Americana Corporation. 1965. p. 255. ↑ Lewis, I.M. (1955). Peoples of the Horn of Africa: Somali, Afar and Saho. International African Institute. p. 140. ↑ Samatar, Abdi Ismail (1989). The state and rural transformation in Northern Somalia, 1884–1986. Madison: University of Wisconsin Press. p. 31. ISBN 0-299-11990-4. ↑ Tristan McConnell, The Invisible Country, Virginia Quarterly Review, 15 January 2009, retrieved 27 March 2010 Archived June 13, 2010, at the Wayback Machine. ↑ "The dawn of the Somali nation-state in 1960". Buluugleey.com. Retrieved 25 February 2009. ↑ "The making of a Somalia state". Strategy page.com. 9 August 2006. Retrieved 25 February 2009. ↑ Compagnon, Daniel (22 October 2013). "State-sponsored violence and conflict under Mahamed Siyad Barre: the emergence of path dependent patterns of violence". World Peace Foundation, The Fletcher School of Law and Diplomacy. Retrieved 7 October 2014. ↑ "Analysis: Somalia's powerbrokers". BBC News. 8 January 2002. Retrieved 7 October 2014. ↑ "Somaliland Constitution". Retrieved 28 March 2016. ↑ Human Rights Watch (Organization), Chris Albin-Lackey, Hostages to peace: threats to human rights and democracy in Somaliland, (Human Rights Watch: 2009), p.13. ↑ The general success of independent Somaliland was discussed by Somali hospital manager Edna Adan Ismail 22 Nov. 2016 on BBC4 radio. ↑ "The Federal Republic of Somalia - Harmonized Draft Constitution" (PDF). Federal Government of Somalia. Archived from the original (PDF) on October 2, 2012. Retrieved 2 August 2012. 1 2 3 4 "Somaliland Government". The Somaliland Government. Retrieved 28 July 2012. 1 2 Gettleman, Jeffrey (7 March 2007). "Somaliland is an overlooked African success story". The New York Times. Retrieved 27 July 2012. ↑ "Somaliland Cabinet". The Somaliland Government. Retrieved 28 July 2012. ↑ "Opposition leader elected Somaliland president". Google News. AFP. Retrieved 1 July 2010. ↑ "Somaliland Parliament". Retrieved 28 March 2016. ↑ "Somaliland Judicial System". Retrieved 28 March 2016. ↑ Manby, B. (2012). Citizenship Law in Africa: A Comparative Study. Open Society Foundations. p. 46. ISBN 978-1-936133-29-1. Retrieved August 2, 2016. 1 2 "Somaliland closer to recognition by Ethiopia". Afrol News. Retrieved 19 October 2014. ↑ "Somaliland, Djibouti in bitter port feud". afrol News. Retrieved 22 July 2007. ↑ "Somaliland Diplomatic Mission in Sweden". Retrieved 2 April 2010. ↑ "Somaliland". United Kingdom Parliament. 4 February 2004. Retrieved 23 July 2007. ↑ "EU Breaks Ice on Financing Somaliland". Global Policy Forum. 11 February 2003. Retrieved 23 February 2007. ↑ "AU supports Somali split". Mail and Guardian Online. 10 February 2006. Retrieved 23 February 2007. ↑ Shipton, Martin (3 March 2006). "Wales strikes out on its own in its recognition of Somaliland". Wales Online. Retrieved 25 June 2010. ↑ "Somaliland on verge of observer status in the Commonwealth". Qaran News. 16 November 2009. Retrieved 2 February 2010. ↑ Ibrahim, Mohamed; Gettleman, Jeffrey (26 September 2010). "Helicopter Attacks Militant Meeting in Somalia". The New York Times. ↑ "afrol News - US near de-facto recognition of Somaliland". Retrieved 28 March 2016. ↑ "Strengthening the UK's relationship with Somaliland". Ukun.fco.gov.uk. 25 November 2010. Retrieved 29 March 2011. ↑ "Ahmed Mahamoud Silanyo, President of the Republic of Somaliland – This is Africa". Thisisafricaonline.com. 20 January 2011. Archived from the original on January 30, 2011. Retrieved 29 March 2011. ↑ "UKIP supports Somaliland national day". UKIP. Retrieved 28 March 2016. ↑ Report of the Secretary-General on specialized anti-piracy courts in Somalia and other States in the region: "The Government of Seychelles has entered into an agreement with the Transitional Federal Government, and memorandums of understanding with the authorities of "Puntland" and "Somaliland", for the transfer of convicted persons to prisons in "Puntland" and "Somaliland". As set out in the section above concerning Somalia, each proposed transfer under these arrangements requires a request to be made by the Seychelles authorities and the agreement of the relevant Somali authorities." ↑ "Awdal "Republic": Declaration of Independence, Somalia". University of Pennsylvania. Retrieved 29 January 2007. ↑ "Somaliland: The Myth of Clan-Based Statehood". Somalia Watch. 7 December 2002. Retrieved 29 January 2007. ↑ "Puntland and Somaliland clashing in northern Somalia". Hoehne, Markus. 7 November 2007. Retrieved 2 December 2007. ↑ "Mimesis and mimicry in dynamics of state and identity formation in northern Somalia". Hoehne, Markus. 2009. Retrieved 2 October 2009. ↑ "Somaliland Defence Forces take control of Las Qorey". Qaran News. 9 July 2008. Retrieved 2 April 2010. ↑ "Somalia". Retrieved 28 March 2016. ↑ "What is Khatumo State?". Somalia Report. 26 April 2012. Retrieved 14 April 2015. ↑ "賃貸情報収集術〜目先の利点に騙されない〜". Retrieved 28 March 2016. ↑ Houreld, Katharine (Apr 4, 2011). "Somaliland coast guard tries to prevent piracy". NavyTimes. Gannett Government Media Corporation. Retrieved 27 Jan 2013. ↑ Hussein, Abdi (2011-08-13). "Somaliland's Military is a Shadow of the Past". Somalia Report. Somalia Report. Retrieved 27 Jan 2013. ↑ "Somaliland hope". BBC News. 26 January 2011. Retrieved 13 May 2012. ↑ "Remittances a lifeline to Somalis". Global Post. 4 July 2009. Retrieved 2 April 2010. ↑ "Golis Telecom Somalia Profile". Golis Telecom website. Archived from the original on 22 October 2007. Retrieved 17 December 2007. ↑ "Somalia calling; Mobile phones. (Golis Telecom Somalia)". Economist. 20 December 2005. Retrieved 20 December 2005. ↑ Bakano, Otto (24 April 2011). "Grotto galleries show early Somali life". AFP. Retrieved 13 March 2013. ↑ "A software tool for research in linguistics and lexicography: Application to Somali". Retrieved 28 March 2016. ↑ I. M. Lewis, Saints and Somalis: popular Islam in a clan-based society, (The Red Sea Press: 1998), p.11. ↑ "Somaliland: Going it alone". The Economist. 17 October 2015. Retrieved 18 October 2015. ↑ Charles George Herbermann, The Catholic encyclopedia: an international work of reference on the constitution, doctrine, discipline, and history of the Catholic church, Volume 14, (Robert Appleton company: 1913), p.139. ↑ Herbermann, Charles, ed. (1913). "Somaliland". Catholic Encyclopedia. New York: Robert Appleton Company. 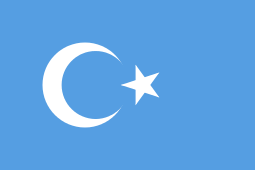 ↑ "Diocese of Mogadishu, Somalia". Retrieved 28 March 2016. 1 2 3 4 5 6 7 8 9 10 "Somalia Population Survey" (PDF). 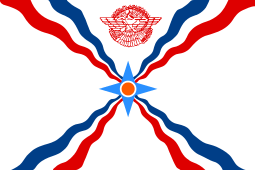 ↑ Research Directorate, Immigration & Refugee Board, Canada (1 September 1996). "Somaliland: Information on the current situation of the Isaaq clan and on the areas in which they live". Immigration and Refugee Board of Canada. SML24647.E. Archived from the original on 19 October 2013. Retrieved 27 August 2015. ↑ Countries That Aren't Really Countries. PediaPress. p. 22. 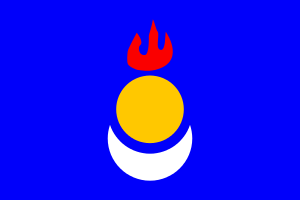 The second largest clan of the region, and that of the current president, is the Gadabuursi. ↑ Vries, F. W. T. Penning de (2005-01-01). Bright spots demonstrate community successes in African agriculture. IWMI. p. 67. ISBN 9789290906186. Gadabursi, the second largest clan in Somaliland, was peacefully elected as president. ↑ Royal African Society, African affairs, Volume 101, Issues 402-405, (Oxford University Press: 2002), p.103. ↑ Samatar, Abdi I. (2001) "Somali Reconstruction and Local Initiative: Amoud University," Bildhaan: An International Journal of Somali Studies: Vol. 1, Article 9, p. 132. ↑ Dostal, Walter; Kraus, Wolfgang (2005-04-22). Shattering Tradition: Custom, Law and the Individual in the Muslim Mediterranean. I.B.Tauris. p. 296. ISBN 9780857716774. Awdal is mainly inhabited by the Gadabuursi clan. The Gadabuursi are concentrated in Awdal and partially in the neighbouring region of Galbeed(Woqooyi Galbeed). ↑ Countries That Aren't Really Countries. PediaPress. p. 22. The Gadabuursi inhabit the west, predominately in Awdal and parts of Gabilay(Woqooyi Galbeed). "Somaliland". The World Factbook. Central Intelligence Agency.